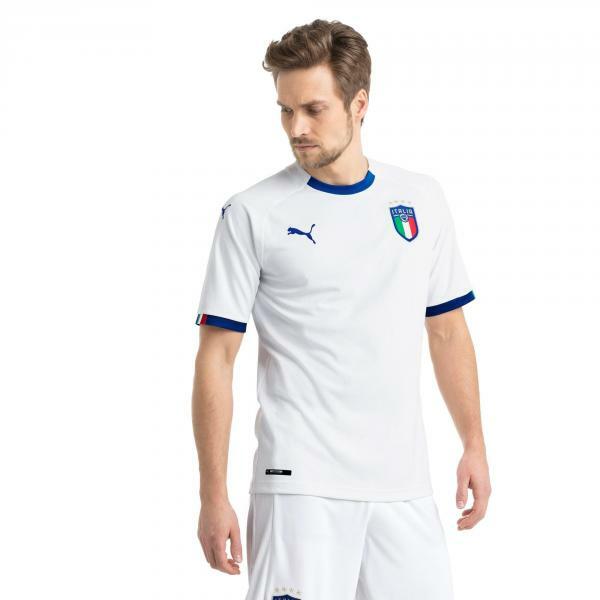 Wear your colors and cheer on your favorite team with the Italian Football Federation's official kit and with the FIGC Replica Away shirt. 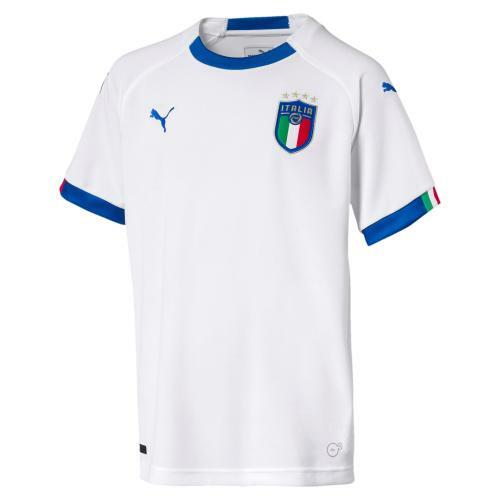 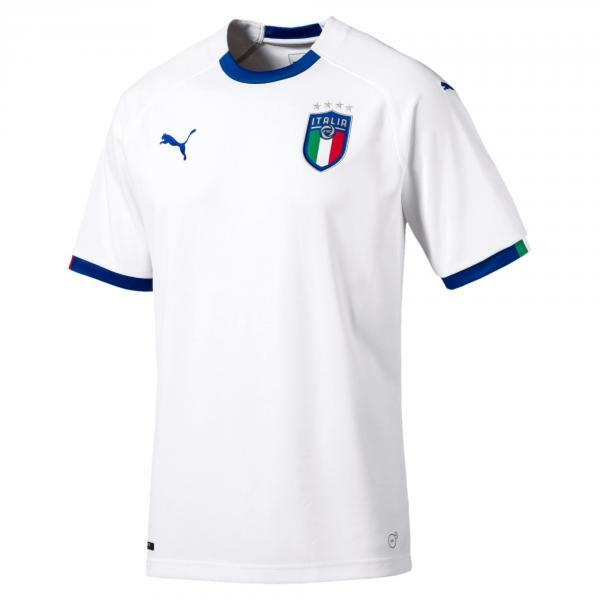 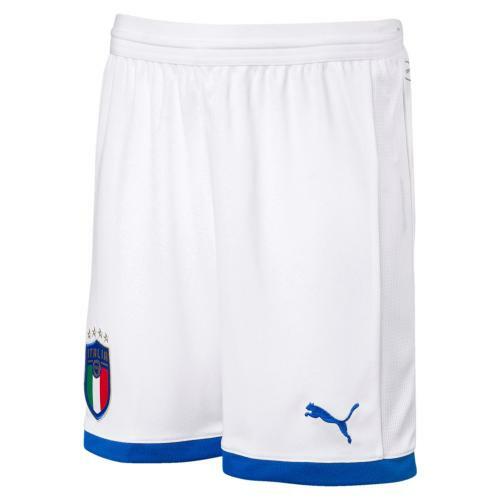 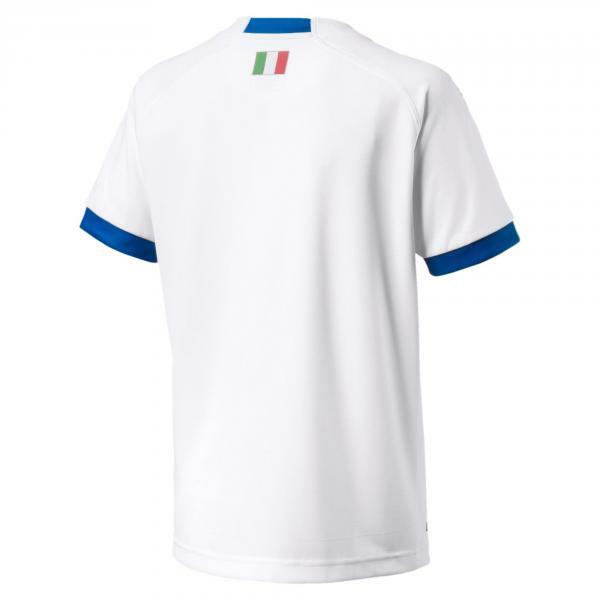 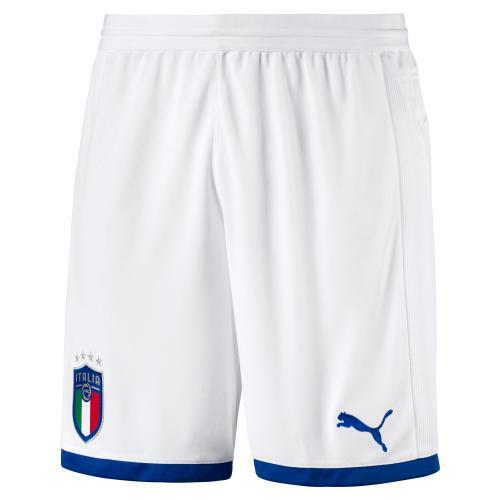 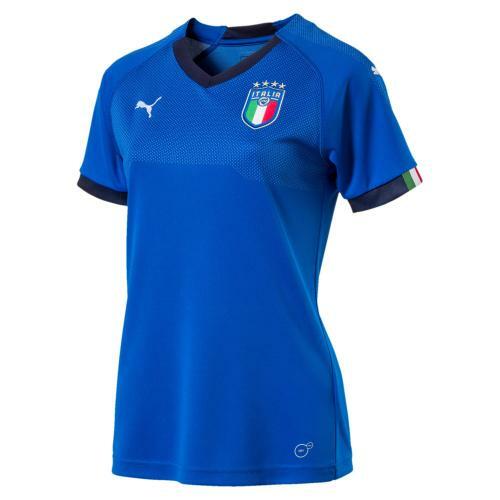 Completely white, this Jersey has the new FIGC official emblem on the left chest embroidered PUMA logo, accompanied by the right side and sleeve. 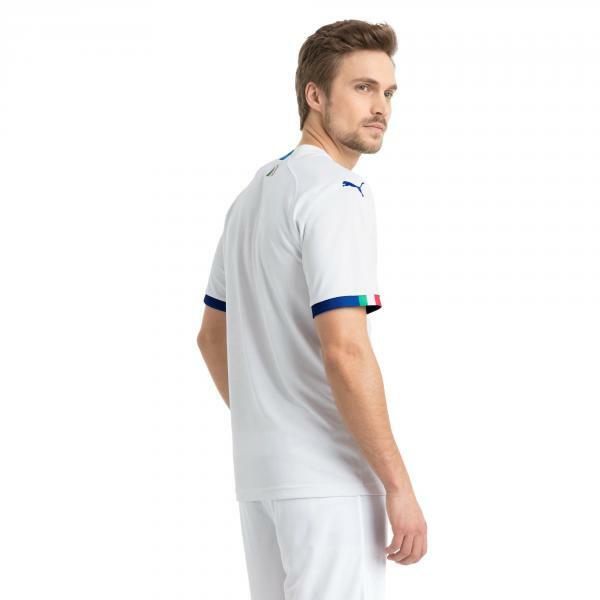 The flag on the ribbed cuffs and a fantastic print jacquard complement the style of this shirt is perfect for the fan in you.